Each Christmas, I select an elementary campus in El Paso's rural community and gift books to each student. This year, I visited Tornillo Elementary School. 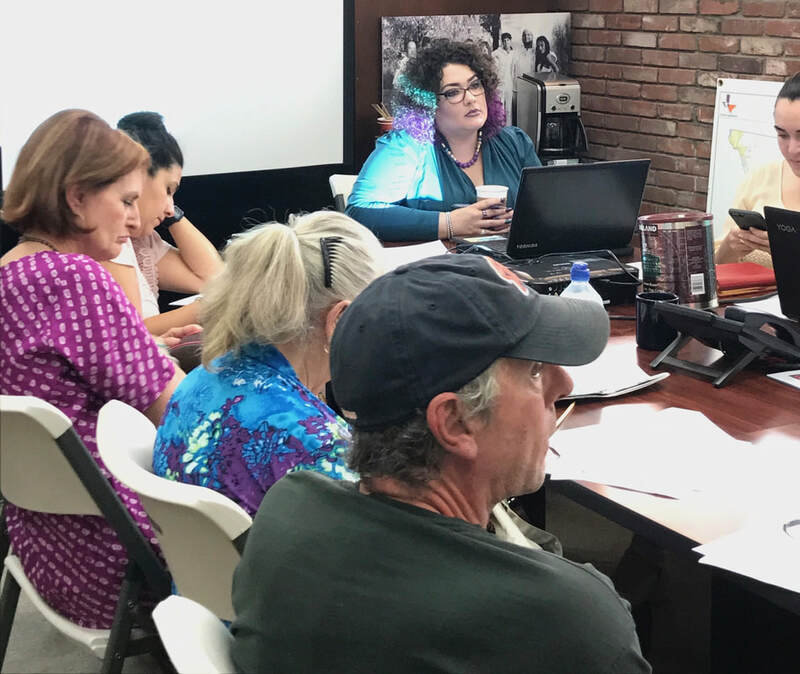 ​Ysleta ISD & Ysleta Teachers Association + Socorro ISD & Socorro American Federation of Teaches both hosted the film screening of,"Backpack Full of Cash." We discussed the dangers of school privatization and how this will impact our public schools. ​I am always thrilled to meet tomorrow's teachers. Thank you University of Texas at El Paso & the TSTA Student Program, for the opportunity to speak to the individuals who will educate our students in the very near future. "TEACHER COMMITMENT"
​Thank you Laredo ISD, for the opportunity to learn from your amazing parent volunteers and speak to district leadership about our successes and how we will create opportunities for our students - juntos, adelante! Thank you Ascarate Elementary School 6th grade, for the opportunity to sit with you and discuss the importance of effective education and access for all. Your questions and conversation were inspiring. I have no doubt that the future is in great hands! "Our students should be focused on reading great books, studying math, learning about the wonders of the universe... not worried about their parents and if they will be home after school. Which is exactly what this misguided, reactionary, and hate-based policy causes. The misplaced priorities of the state of Texas send a very clear message. Too many conservative leaders would rather spend money on prisons than fully finding public education. They care more about who uses bathrooms than making sure rural Texans have clean drinking water. They care more about hoarding money from the rainy day fund instead of fixing the many problems across Texas with infrastructure, healthcare, and education. Well, it's literally and figuratively a rainy day across Texas! Yesterday, the conservative leaders in Texas got a much-needed civics lesson! 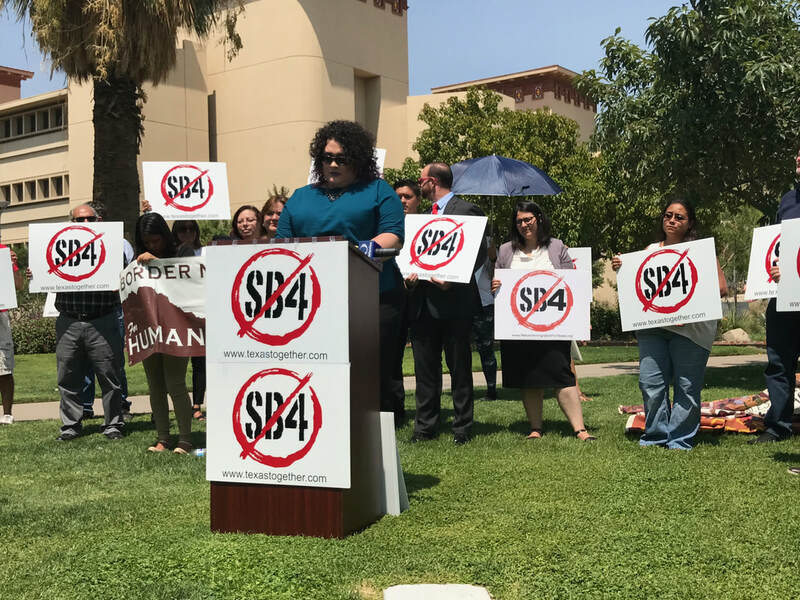 We should all be thankful to the framers for ensuring we have checks and balances and yesterday the judiciary branch ensured the protection to children and families that the legislature hasn't." 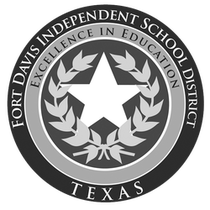 ​Thank you Fort Davis ISD, for the invitation to meet faculty, staff, and speak on new TEKS and how we are working to meet the unique needs of our students in rural schools. Thank you Senate District 29, Senator Jose Rodriguez, for the invitation to speak to education leaders and listen to community concerns. The Cotton Valley Scholars celebrated our first Scholarship Awards Ceremony, at Western Technical College. 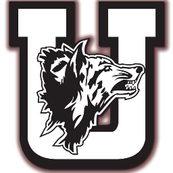 Two students from Fabens High School, Alan Sanchez and Bryan Saucedo, are the first students to receive scholarships created specifically for El Paso County's Border Rural community. Thank you, Superintendent Dr. Jeanette Ball, for the invitation to meet students and educators at the "Heart of Education Lies Within Me" Convocation. On July 29, 2016, the U.S. Department of Education launched the ‘Read Where You Are‘ campaign to encourage families, educators, and communities to make reading an active part of a young person’s life. According to Ed.gov, young people who do not read over the summer fall behind their classmates. Research shows that summer learning loss adds up, especially for low-income students. By 8th grade, that lost learning time accounts for 2/3 of the achievement gap between low-income children and their more affluent peers. 1) Read aloud 20 minutes or more with a young person in your family every day. 2) Visit a public library with your family and check out a few books. 3) Set a great example – read something you enjoy and your children will notice. Thank you Texas Alliance of Black School Educators, for the opportunity to speak about Texas Education Policy and advocacy focused on improving student outcomes for all Texas students. Thank you, El Paso ISD, for the invitation to welcome educators back to school, 2017 ~ at your Champions By Design. It's always an honor to work with district leaders on education policy and implementation of programs providing opportunities for all of our children. Thank you, Profesora Irma Montelongo, for the invitation to speak to aspiring educators on the importance of reflective and critical literacy in schools and what we are doing to ensure we implement policy to improve student outcomes for ALL Texas students. As we have recently gleaned from the 85th Legislative Regular Session, involvement of educators in policy development is imperative. Our democratic process involves numerous opportunities to influence legislative outcomes. With a focus on education policy, participants will receive strategies and an overview of learning opportunities for making a difference. 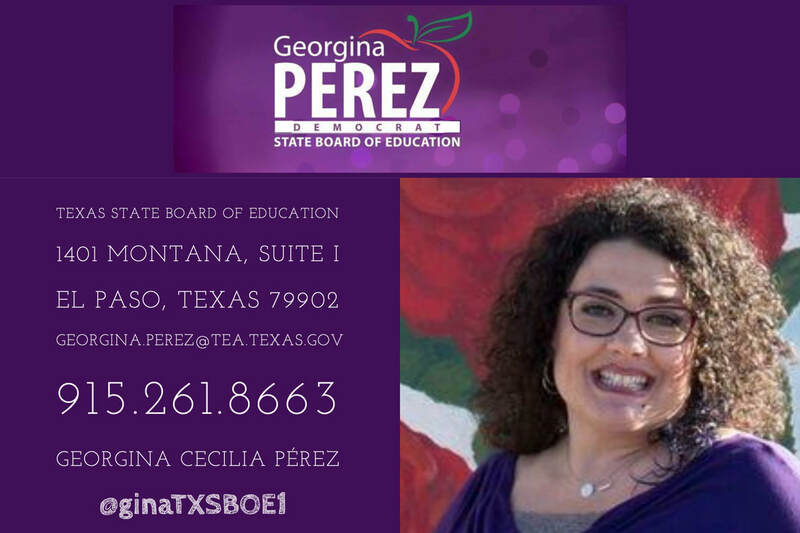 State Board of Education Representative, Georgina Perez, will provide an insight of her work within the State Board as it pertains specifically to the support of Latino students. 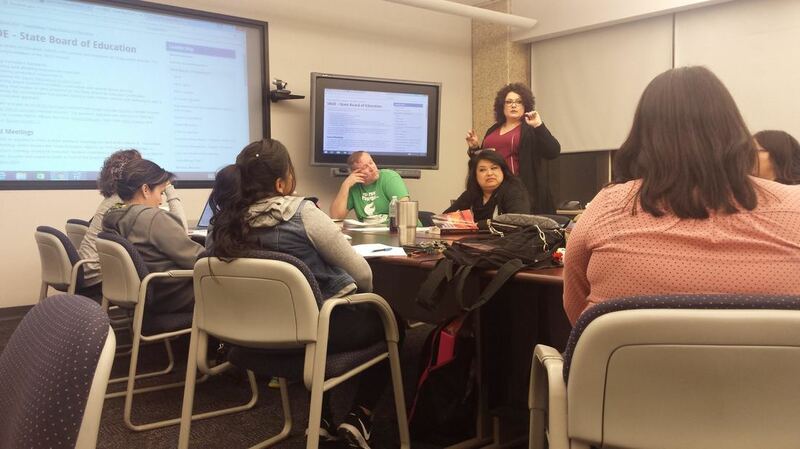 Additionally, she will provide an overview of the Texas Educator Policy Institute (TEPI). Accompanied by TEPI Fellows, Ms. Perez will expand on the successes and experience. ​Thank you, Profesora Liliana Saldaña, for the invitation to be part of the University of San Antonio's Mexican American Studies Summit. How has Texas Education Policy evolved for Chican@/Latin@ students? Texas currently educates 5.28M students, 52.2% are Chican@/Latin@ children - the largest and fastest growing demographic in the State with approx. 50,000 turning 18 years-old daily. We will review and discuss the educational impacts of the 85th Legislative Session and how the Texas State Board of Education is working to create opportunities and eliminate the deficiency mind-set of educating Texas Chican@/Latin@ students. with your El Paso and Regional teams. ​Thank you Burgess HS, for the opportunity to learn from student leaders... and a surprise reconnect with my high school English teacher, Ms. Drury. Team TXSBOE1 celebrated Fia de Libros, this year by gifting books to our El Paso community. Over the weekend, I had the distinct honor of speaking with over 200 Texas Pre-Service teachers. These amazing women and men are joining the profession and are committed to the mission of changing the world, one student at a time. Thank you TSTA, and more importantly, a great deal of admiration and gratitude for the educators who spent the day with me discussing their career goals and the expressing their desire to provide the best education opportunities for all Texas students. Last week, Socorro City Council recognized TXSBOE1 efforts in the development of a community library. RVL will provide free access to reading materials for over 55,000 community residents. More importantly, RVL is the only library providing free access to the thousands of community members of El Paso County. To date, we have contributed materials valued over $500,000 - and will continue our efforts over the lifespan of the library. It was my distinct honor to keynote the Texas Breakfast at the Texas Alliance of Black School Educators 32nd Annual State Conference and attend the Dining with Divas women's mentorship dinner where I had the pleasure of joining 40 strong leaders from across the state and engage in mentorship conversations with over 300 women, welcoming new mentees to the family. I am also pleased to announce my appointment to the TABSE Board as Public Affairs Secretary, a position I am excited to assume! The Texas Essential Knowledge and Skills (TEKS) for Social Studies are up for review in 2017, and who better to develop a committee of classroom educators than Dr. Tim Cashman and his cohort of soon-to-be Ph.D.'s? It's a lengthy document that this group is excited to examine and improve. ​Thank you, Region XIX, for the opportunity to speak at the Winter School Board Conference on the responsibilities of the Texas State Board of Education and the initiatives of District 1. For three consecutive years, Team SISD students have performed above the state rate on STAAR exams on all 17 indicators used to evaluate student success in grades three through eight. ​What a beautiful way to kick off 2017!!! your music is truly a gift to us all! ​Thank you all for the overwhelming support. I am truly blessed to hold this office and serve our students. It's a dream come true for me ~ a huge debt of gratitude goes out to every person who phone banked, block-walked, cold-called, and poll watched. Thank you #TXSBOE1, for believing in me. Now, let's get to work!! !